For years, traditional frequent-flier plans awarded miles on the distance flown, but those days seem to be winding down. Now you have to spend more to earn more, and United Airlines is joining the ranks of airlines rewarding passengers who don’t book the cheapest tickets. United Continental Holdings Inc. announced plans Tuesday to change its frequent-flier program to favor passengers who spend more by awarding miles based on the ticket price of a flight rather than the distance covered, The Wall Street Journal reports. Under the new plan, which takes effect on March 1, 2015, awarded miles are calculated using a flight’s base fare and carrier-imposed charges in connection with a passenger’s MileagePlus Premier status. The 95 million MileagePlus members will earn a base of five miles for each dollar spent, while Premier status members will earn two to six additional miles per dollar spent depending on their status level. Members can earn up to 75,000 miles per ticket. The new plan will apply to MileagePlus members worldwide, United’s commuter affiliates and tickets purchased by United Airline partners. “These changes are designed to more directly recognize the value of our members when they fly United,” Thomas F. O’Toole, United’s senior vice president of marketing and loyalty and president of MileagePlus, says in a news release. 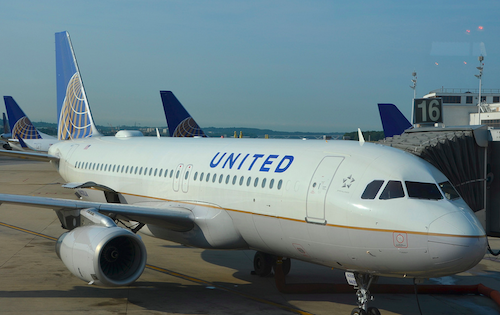 United is also adding redemption options that allow members to use miles to purchase extra leg room seats or checked baggage subscriptions with the airline. Today’s announcement adds to a 2013 change in which United added a minimum annual spending level to the requirements passengers must meet to qualify for elite frequent-flier status starting in 2015. The flier must spend at least $2,500 on tickets and fly 25,000 miles or 30 segments to qualify for the lowest status. With the forthcoming changes United joined the ranks of fellow airlines including Delta Air Lines, JetBlue Airways, Southwest Airlines and Virgin America Inc that already use revenue models in their frequent-flier plans. Delta’s revenue-based plan will also take effect in 2015. According to The WSJ, changes to award plans stem from research that indicated passengers who fly often and spend more often feel they aren’t rewarded fairly. Only time will tell how the changes will be perceived by passengers, but it can’t get much worse the airline, or could it? Earlier this year, United was the most hated large legacy carrier in the American Customer Satisfaction Index survey of airlines.